yes, this is synthpop. For you synthspotters, there’s some vintage analogue synths in here as well. 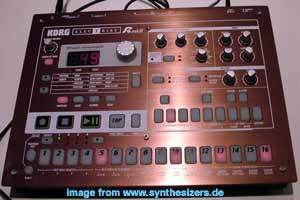 4 u’r pleasure – Roland SH reminds of they could re-issure some SH-sounding Synths. Anyway, just listen. Slightly technoid. Maybe time to play LFO’s frequencies afterwards..? just reminds here and there with another attitude (and more 80’s). via Gus Gus – Believe, Live [HD] – YouTube.